My mum sent me a text the other day asking me what I did with all my old perfume bottles and skin care containers once the products inside have been used up. She said, 'they seem too pretty to throw away' and whilst I am inclined to agree, I've always been unsure what to do with them, too; unfortunately most meet their end in the bin (after I've snapped them for an 'empties' post, of course!) but I have thought that it would be nice to try and make some sort of use of them. The timing of this post is good because I recently found these two old Steamcream pots when clearing out my beauty cupboard, the contents long since used up (and I really must repurchase this product because it is excellent) which I obviously couldn't bear to throw away once I'd finished with them. The yellow pot has a grey cat on it and the gingham one was a limited edition collab with the brand PPQ, so now that I've dug them out and given them a good wash, I decided that I would be reusing them. Pots like this make fantastic little holders for jewellery and trinkets, and if you like to travel or take a choice of different jewellery to wear through the day then these would be a great method of transportation-you'd soon find them in your bag and not have to spend ages faffing about looking for a necklace or earring right at the bottom! 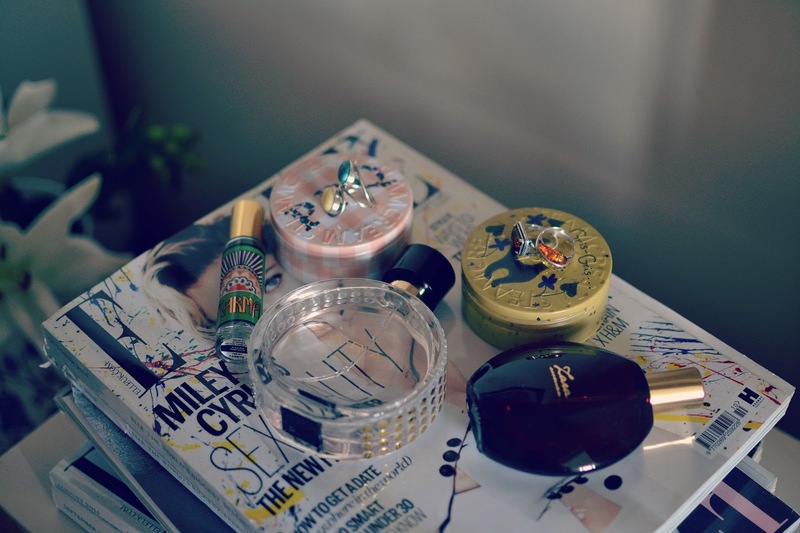 Perfume bottles are slightly more difficult due to their nature but they can definitely still be reused. I had a good scout around my fave site for inspo - Pinterest (follow me here, I've got an entire board dedicated to DIY!) and spotted several useful ideas for upcycling these used up glass bottles into something more interesting. -Reuse: If you have a handbag sized bottle, such as this small spritzer from Lush, you can take off the top and give it a wash, and refill it with your current scent; either decanting from a bottle or, if you have a handful of the tiny samples (of the same scent) filling it up with those. A bit fiddly, but you get a nice travel sized spray bottle of scent for zero pence! -Redesign: Of great popularity at the minute on Pinterest seems to be the very minimal interior decor look, lots of clean surfaces studded with minimal, but interesting, trinkets. A small grouping of perfume bottles, all painted white, made for a sculptural and intriguing ornament and highlighted the different cuts of glass on the bottles. -Reimagine: A perfume bottle is only a perfume bottle with a spray top on. Remove this, and it becomes a pretty and bijoux single stem vase. A single flower would look super pretty in a perfume bottle (especially of the taller variety) and you could perhaps place a few shorter sprigs or delicate flowers in a smaller bottle. You could also repurpose a bottle into a reed diffuser; again, remove the top, fill with essential oil and add some wooden reeds to create a unique room scenter with minimal outlay. 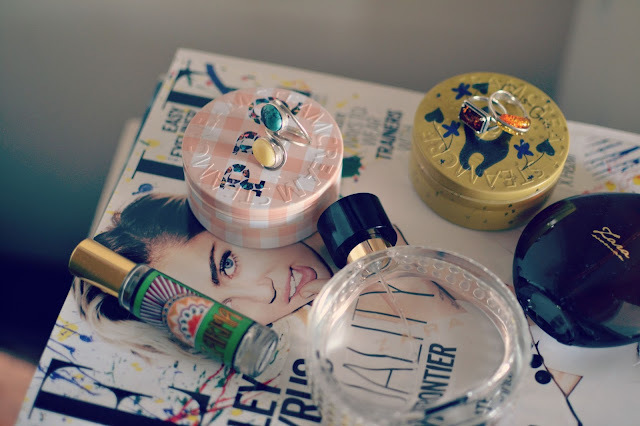 I'd love to know if you have any more ideas; what do you do with your old perfume bottles and pretty skincare jars?